KUWAIT CITY, Sept 10, (KUNA): His Highness the Amir Sheikh Sabah Al-Ahmad Al-Jaber Al-Sabah said Saturday the UN’s honoring him as a Humanitarian Leader was only in appreciation of Kuwait’s humanitarian initiatives. His Highness the Amir was replying to a cable sent by Chief of the National Guard His Highness Sheikh Salem Al-Ali Al-Sabah to congratulate him on the 3rd anniversary of being feted by the United Nations (UN) as a Humanitarian Leader and Kuwait as a Humanitarian Center. 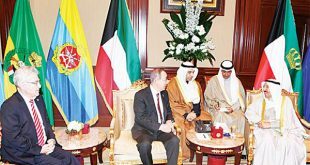 His Highness the Amir said Kuwait has been active in humanitarian action and initiatives, which aimed at helping the needy affected by conflicts and disasters. His Highness Sheikh Salem Al-Ali said that His Highness the Amir’s UN honoring was a testament to His Highness the Amir’s profound humanitarian and philanthropic contributions. 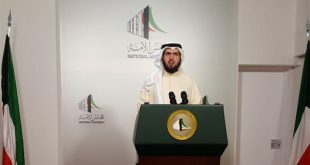 He added that the moniker was something “that all Kuwaitis should be proud of since it cements Kuwait’s position as a bastion of humanity.” Kuwait, under His Highness the Amir’s leadership, has steadily pursued a foreign policy based on regional and international solidarity, friendship and humanitarian action, two UN officials said. 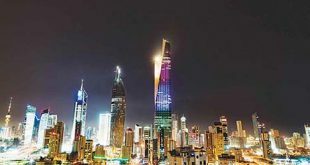 They also noted that Kuwait has set course to become a regional and global driver of high-level human development, thanks to His Highness the Amir’s New Kuwait 2035 vision. Zineb Touimi-Bejelloun, UN Development Program’s UNDP Resident Representative in Kuwait, and her deputy Dima Al-Khatib spoke highly of Kuwait’s humanitarian and development contributions regionally and worldwide. Touimi-Bejelloun and Al-Khatib, in a joint statement to KUNA marking the third anniversary of UN’s naming His Highness the Amir as Humanitarian Leader and Kuwait as Humanitarian Center, noted that Kuwait hosted since 2013 three international donors pledging conferences for Syria. 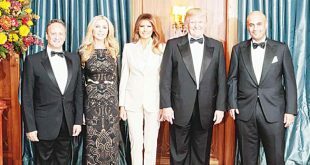 The three conferences raised $7.5 billion to help the victims of the Syrian conflict, of which Kuwait pledged $1.5 billion. They noted that Kuwait co-organized the London pledging conference for Syria in February 2016, and the European Union (EU) conference on “supporting the Future of Syria and the region” in 2017. The Syrian crisis, which broke out in March 2011, killed over 300,000 people and injured many more. The conflict forced an estimated five million to seek refuge in neighboring countries, while more than six million people were internally displaced. Kuwait government and non-government organizations (NGOs) rushed to help the needy Syrians whether in refugee camps or internally displaced. Kuwait net Official Development Assistance (ODA) in 2015, as reported by Kuwait Fund for Arab Economic Development (KFAED), amounted to $304 million, an increase of 22 percent over 2014. The Gulf state, which offers aid to people in need regardless of their faith, color or gender, also offered millions of US dollars for the Palestinians and Yemeni people. His Highness the Amir Sheikh Sabah Al-Ahmad also reached out to neighboring Iraq, calling Prime Minister Haidar Al-Abadi following the liberation of Mosul to offer to host an international conference to rebuild areas liberated from terrorists. The conference is expected during the first three months of 2018. Kuwait’s role as a humanitarian center “and generosity of its people have been acclaimed by the international community,” said Touimi-Bejelloun and Al-Khatib. They expressed deep appreciation to His Highness the Amir and Kuwaiti people for their human response partnership with the UN. Touimi-Bejelloun and Al-Khatib said Kuwait’s international profile and recognition of its role as a humanitarian center would further increase when the country began its two-year term as a non-permanent member of the UN Security Council in January 2018. 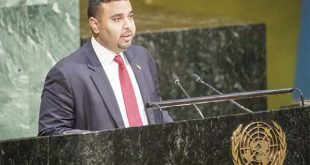 Meanwhile, the UN officials said Kuwait, guided by the “visionary leadership” of His Highness the Amir, has shown an enduring commitment to promote global partnership in pursuit of international peace and sustainable development. They also voiced their pride and appreciation of such a well-deserved honor which came as a gesture of gratefulness and appreciation by the international community for Kuwait and His Highness’ significant contributions in the humanitarian action. The officials also prayed to Allah Almighty to perpetuate good health and wellness on His Highness the Amir, and bless Kuwait with further progress and prosperity under His Highness’ wise leadership. In return, His Highness the Amir sent cables of gratitude to the three senior officials, expressing his sincere appreciation and thanks to their good sentiments and genuine wishes. The Arab League congratulated Kuwait Sunday on the third anniversary of the UN proclamation of His Highness the Amir as “Humanitarian Leader”, and its naming of Kuwait as “Humanitarian Center.” Kuwait’s humanitarian action around the world has become one of the most effective and successful aspects of its foreign policy, the League’s Council stated during its regular session on the permanent delegates’ level. The Council valued Kuwait’s distinctive efforts, led by His Highness the Amir, and keenness toward continuing its humanitarian efforts that reach all corners of the globe. Naming His Highness the Amir as a “Humanitarian Leader” is a wellearned honor, and a historical account of the remarkable role of the Kuwaiti leader, his government, and his people in providing unlimited support to humanitarian action, it said. The Council also praised Kuwait’s hosting of five consecutive international donors’ conferences to aid and relief the Syrian people from the ongoing crisis in their country. Mayor of Ottawa Jim Watson praised Sunday Kuwait’s “important” cultural and humanitarian role, expressing his country’s aspiration to strengthen relations with Kuwait in various fields. This came in a statement by the Mayor of Ottawa on the sidelines of his visit to Kuwaiti Cultural Days event that was held in Canada from Sept 4 to 8, organized by the National Council for Culture, Arts and Letters (NCCAL) in cooperation with the Embassy of Kuwait on the occasion of the 150th anniversary of the establishment of the Canadian Confideration. 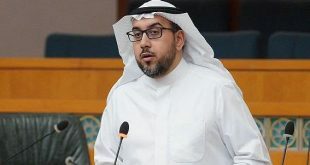 The establishment of Kuwaiti cultural days is an important opportunity to strengthen relations between the two countries and promote cooperation, especially in the economic, social and cultural fields, the Mayor of Ottawa said. The events of the cultural days coincided with the third anniversary of the UN honoring of Kuwait as a Humanitarian Center and His Highness the Amir Sheikh Sabah Al-Ahmad Al-Jaber Al-Sabah as a Humanitarian Leader.